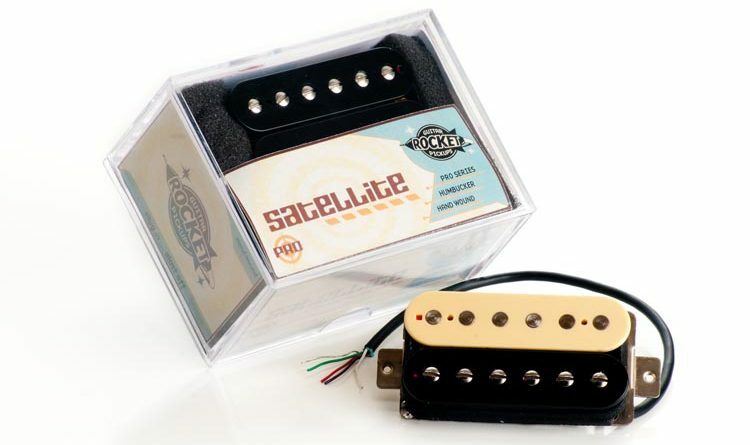 The Satellite humbucker set is a groovy offering from Rocket Guitar Pickups. 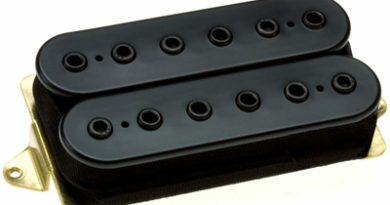 You might know Rocket Guitar Pickups from the Joey Allen (Warrant) signature “Black & Tan” set. Or from being in a recent pickup shootout featured by RJS Amplification. Rocket Guitar Pickups is fronted by Willy Houston. Willy’s history working for guitar companies goes back to the 80s, resulting in the launch of Rocket (ha! see what I did there?) about 15 years ago. 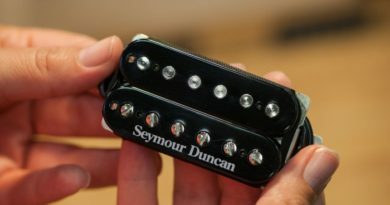 The Satellite is a pretty healthy-sounding humbucker that would land in the moderate or in the vintage-hot range. And from how it looks, the lion’s share of Rocket’s menu is in that grouping. This is a bit of a desired sweet spot among more and more pickup fanboys. You get a little bit of heat in a voice that rides the line between an open character and some natural compression. The set of Satellite humbuckers arrives in it’s own clear hard plastic packaging. Sort of what you’d see from the big boys, but Rocket’s cases have a bit more refined of an appearance and they easier to navigate. Sure, not a deal breaker in the scheme of things. But it’s the bits of attention to small things that can make the difference. For this test drive, the Satellite set is installed in ye olde double-hum test guitar. 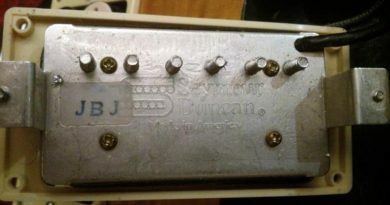 Thankfully, the Satellite humbuckers come with 4-con lead wire. Additional bonus points go to the lead wires being stripped back and ready to go. Each lead wire is connected to it’s own series/split/parallel switch in this test guitar. As is often the case, I’m starting off on a dirty amp setting. The Satellite is authoritative with a big-sounding character. Big punchy lows to rattle your fillings loose. You get a rich throaty mid-range that favors the lower-mids, so that your riffs hit you hard in the chest. Throwing down with some smoking hot solos is a breeze here, with plenty of drive and definition. Going to a clean amp setting, the versatility of the Satellite set really comes through. From the neck, you can get full and warm-sounding tone. This is really great for when you need a big and full tone. The bridge options is easily snappy with a bit of glass and is great for articulation. Yep. The Satellite neck has some power and depth to. The percentage of offset between the coil allows for a nice bit of counterbalance. This set is going to be great for you if you’re needing something to cover a lot of ground. It’s also going to be good to add a little bit of character to a bright or thin-sounding guitar. So what do you guys think? Want to hear more about Rocket Guitar Pickups? How about that “Black & Tan” from that shootout video? Let me know what you think! For reference, this Rocket Guitar Pickups Satellite humbucker set evaluation was conducted with a Fractal Axe-Fx II XL+ featuring Celestion Impluse Responses and Fractal MFC-101 MIDI Foot Controller. Real cabs used were Marshall 1960B cabs loaded with Celestion Vintage 30s and G12M Greenbacks.